Security ClubWorldCasino | Play for Free or Real Money Today! In order to show our firm commitment to strong business practices Club World Casinos publishes this Privacy Statement. Here at Club World Casinos, we believe that good business relationships are built over time by way of honesty and trust. That is why the privacy of your information is extremely important for us. This means that we are committed to protecting your privacy so that your experience with Club World Casinos is a pleasant and secure one. You can rest assured that we employ all possible measures to provide you with secure money transactions. 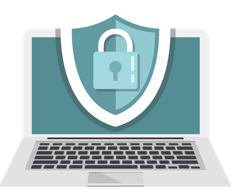 We use security connections SSL, certified by Secure Server Certification Authority Verisign. The site has security measures in place to protect the loss, misuse and alteration of any information you give us. Our policy at Club World Casinos is that all personal information you provide, such as your name, postal address, e-mail address, and telephone number, is private and confidential and will not be shared, rented, sold or distributed in any manner to any other person, company or organization. Club World Casinos operates a strict anti-spam policy. All emails sent to our players are legitimate and are in regard to the players account, and to inform them of opportunities open to them. All players reserve the right to request that these emails be stopped, and are to contact us directly for this to be fulfilled. We operate using IP addresses to help diagnose problems with our servers. Your IP address is used to help identify you and your wagering account. Winnings - your winnings and cash-outs are kept strictly confidential, and winnings information is stored in secure operating environments. Club World Casinos keeps your winnings information private and does not provide this information to any third party unless such information is required to be disclosed by law, regulation or any governmental or competent regulatory authority. Credit Card Security - using your Credit Card at Club World Casinos is perfectly safe. CWC utilizes sophisticated RSA public/private key encryption technology to ensure that sensitive data is transferred securely over the Internet. All Credit Card details are stored on a secure server, which is protected by the latest firewall system. This means that using your Credit Card at Club World Casinos is even safer than using it to order food at your local restaurant. If you have any other questions or concerns regarding data privacy and security please do not hesitate to contact our friendly Customer Support Team. Our representatives will be more than happy to assist you.